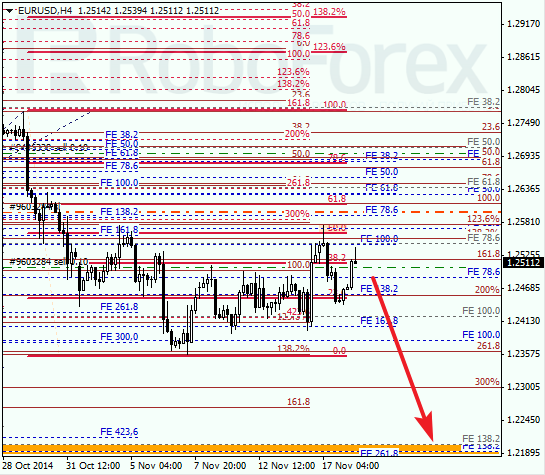 As we can see at the H1 chart, bears have been supported by several local retracements. In addition to that, the market has rebounded from an intraday retracement 61.8%. 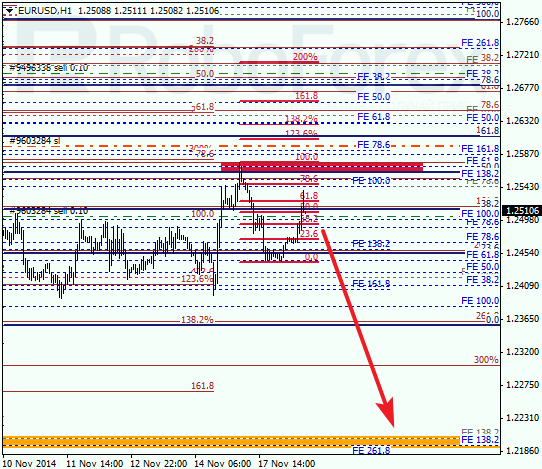 In the near term, the pair is expected to continue falling towards the group of lower fibo-levels at 1.2180 – 1.2200. If later the price rebounds from them, the market may start a new correction. In the beginning of the week, Franc rebounded from retracement 61.8%, which means that the pair may start a new ascending movement. I’ve opened another buy order during a local correction. The target is still the group of upper fibo-levels. As we can see at the H1 chart, the market has rebounded from retracement 78.6%. 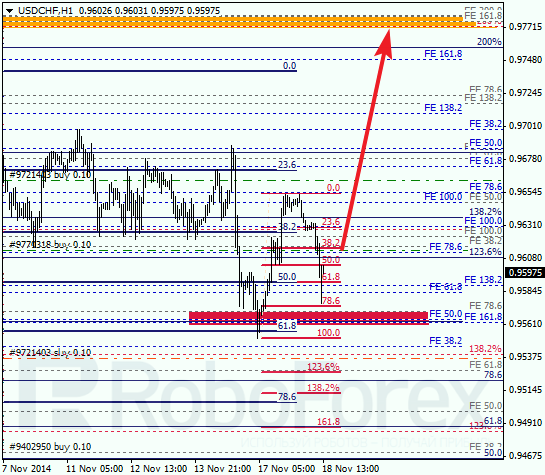 Earlier it rebounded from retracement 61.8% and several local retracements as well. If the price continue growing, I’m planning to move the stop loss after the market. The pair may break the maximum during the next several days.